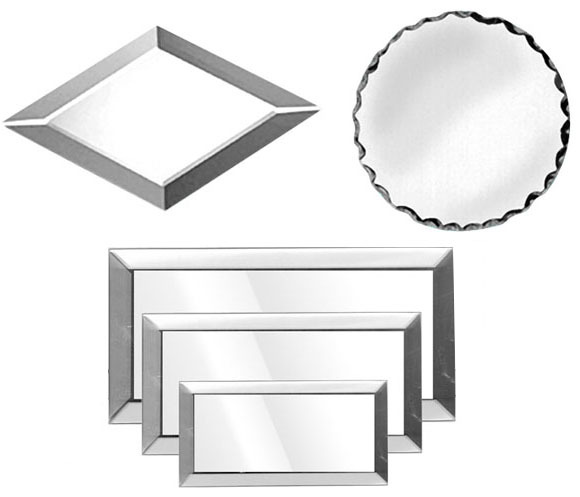 Mirrored Glass Display Bases have beveled or scalloped edges and provide an elegant way to display collectibles and more. 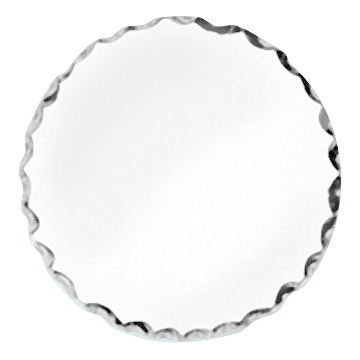 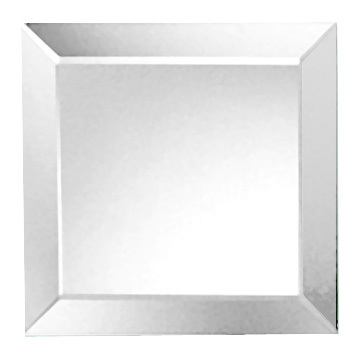 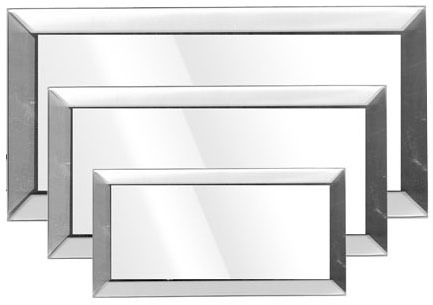 BEVELED Mirrors Have a 15� Bevel & 1/16" Edge. 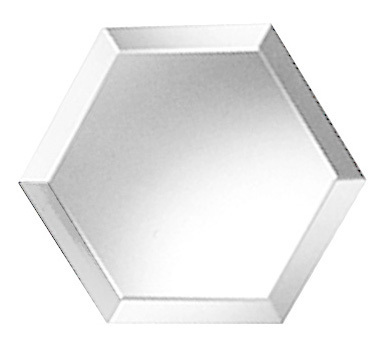 SCALLOPED Mirrors Taper to a Sharp Edge. (A) Display Base, Mirrored 3" x 6"
(A) Display Base, Mirrored 4" x 8"
(A) Display Base, Mirrored 6" x 12"
Packaged in boxes of 6.